The heir to the throne of France, at the time of Joan of Arc, was a dolphin. At least, this was according to W C Sellar and R J Yeatman, who wrote the classic spoof history book “1066 and All That” which was published in 1930. It is perfectly true that “dolphin” is English for “dauphin”, which was the title given to the king’s eldest son, but that is where the connection to marine mammals stops. The reason for the name is a little more prosaic. The first dauphin was born on 3rd December 1368. He reigned as King Charles VI from 1380 to 1422 and it was his son, born in 1403, who was the dauphin whom John of Arc supported and was betrayed by. 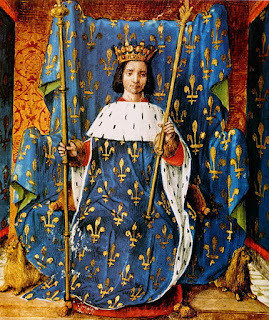 At his birth, Charles VI was given a tract of land in south-east France, known as the Dauphiné. The name went all the way back to the 4th century, when a dolphin featured on a family coat of arms. In the 12th century the land in question was owned by a man who used the name Dauphin as part of his title and his successors did the same. The land therefore became the Dauphiné. 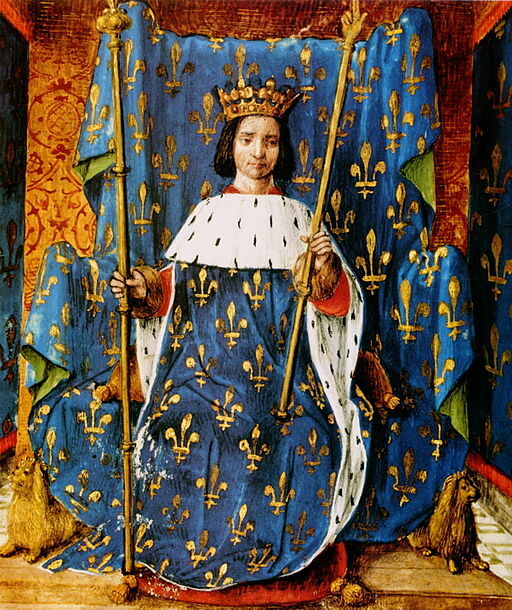 Charles VI reigned for 42 years but his was one of the most disastrous reigns in French history, not helped by the fact that he was mentally unsound for much of it, which is why history remembers him as “Charles the Mad”. He was probably much happier when only “Charles the Dolphin”.